GliddenSpina + Partners, Architecture - Interior Design, Inc. (GliddenSpina) is a highly diversified firm offering a full range of professional Architecture, Interior Design, Project Management and LEED Services. Founded in West Palm Beach in the late 1970’s, GliddenSpina has been executing design ideas and solutions for over 40 years. GliddenSpina’s relocation to the award winning Old Hopkins Marine Building we restored in 2014 represents the trajectory of our growing firm. 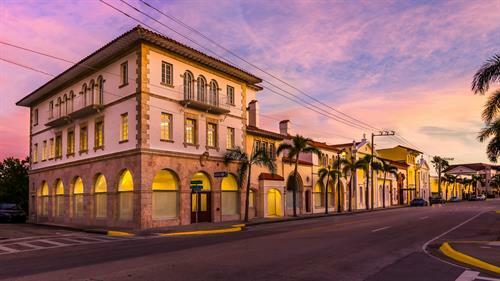 Consistent with the dynamic of our new downtown location in the heart of the city of West Palm Beach’s financial district, GliddenSpina is on the rise, both as one of the area’s fastest growing firms and best places to work.